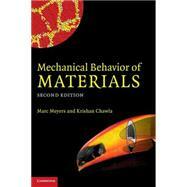 A balanced mechanics-materials approach and coverage of the latest developments in biomaterials and electronic materials, the new edition of this popular text is the most thorough and modern book available for upper-level undergraduate courses on the mechanical behavior of materials. To ensure that the student gains a thorough understanding the authors present the fundamental mechanisms that operate at micro- and nano-meter level across a wide-range of materials, in a way that is mathematically simple and requires no extensive knowledge of materials. This integrated approach provides a conceptual presentation that shows how the microstructure of a material controls its mechanical behavior, and this is reinforced through extensive use of micrographs and illustrations. New worked examples and exercises help the student test their understanding. Further resources for this title, including lecture slides of select illustrations and solutions for exercises, are available online at www.cambridge.org/97800521866758.